Photography, and teaching it, is our passion. We love to share our experience. To empower you to enjoy photography more. To enjoy photography more means you have to be taking better photos than your were previously. Our workshops exist to teach you how to make this happen. Pansa (who joins us when she’s able to) has over ten years experience and masters the art of adding feeling to photos. Her creative eye is inspiring. 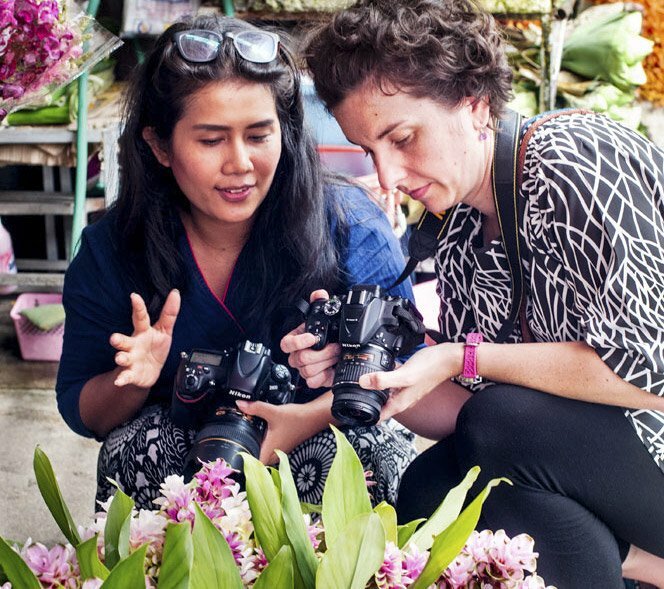 Our Chiang Mai photography workshops are designed for people who want immerse in photography learning and cultural experience for a day. We also run photography workshops from our boutique bed and breakfast, Suan Sook Homestay. These are a more relaxed pace and can be as long or short as you’d like. Chiang Mai Photo Workshops offer more than a photo tour. We teach and you experience. Photo tours just show you what to take photos of. We teach you skills enabling you to continue to improve your photography into the future. We’ll answer your questions, help you with your camera settings and inspire you to see in new ways. We’ll also take you to one of our favorite Thai restaurants for lunch! Our choice of locations covers a divers mix designed to immerse you in as much northern Thai culture as we practically can. Pansa and I met through our common love of photography. Not long after we started developing Chiang Mai Photo Workshops. From the beginning our aim has been to provide our customers with the best possible experience. We want to give you an awesome experience where your photography ability grows more in a day than it ever has before. Drawing on our combined photography experience, and different styles, we share this with you. Starting the day with a conversation about your photography experience, we get a feeling for where you are at. This leads to more precise and personally focused teaching. Don’t worry that you won’t remember it all because we give all our workshop customers one of our online courses. Master Your Camera – Master Your Creativity supports and revises our in person workshop teaching. Once you’ve enrolled you can revisit the lessons as often as you like. There’s also a whole bunch of practical photography exercises included. As I progressed through the ranks and became a photojournalist myself, this then became my photography school. Learning by experience. Being required to come back from every assignment with at least publishable photograph was superb motivation. We love teaching our Chiang Mai Photo Workshops and the workshops we run based at our bed and breakfast, Suan Sook Homestay. The workshops in and around Chiang Mai are just one day whereas the Suan Sook photography workshops can be as long as you like. We run three other connected websites. 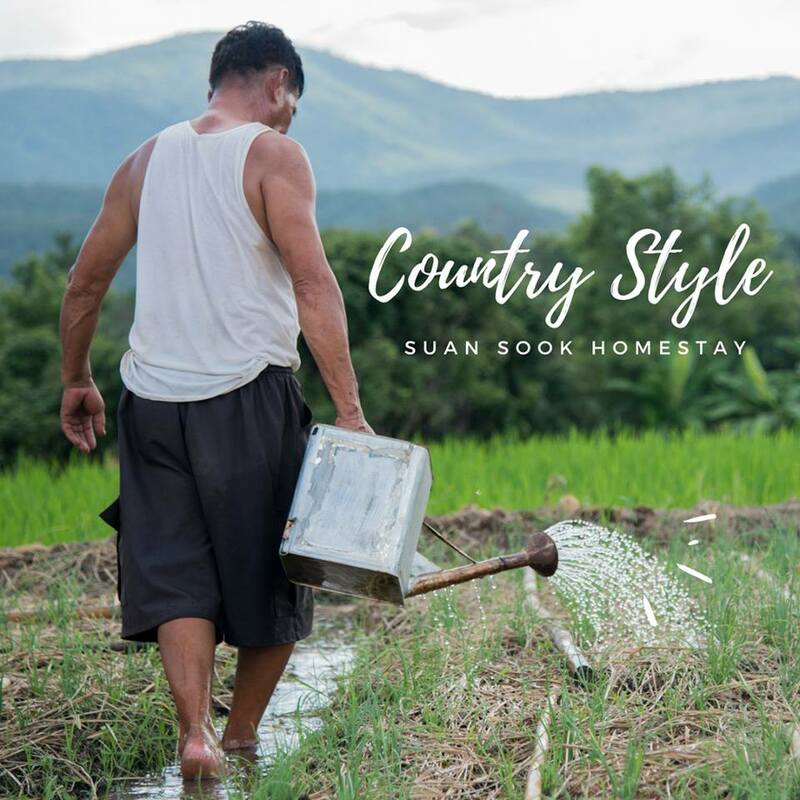 Suan Sook Homerstay has all the information about our bed and breakfast and the photography workshops we run based there. KevinLJ.com has my Blog, information about my photographer mentoring, along with my recommended resources page.